Wrap-around tops flatter your femininity and are also wonderfully comfortable! 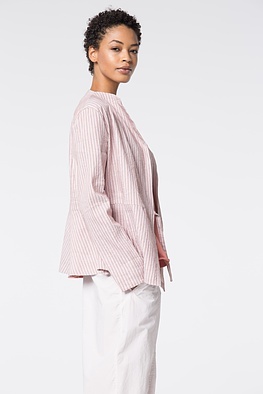 This subtly fitted OSKA jacket has two tie bands which offer flexible width at the waistband – gorgeous in combination with round-cut cropped trousers as well as with figure-fitting summer shapes. 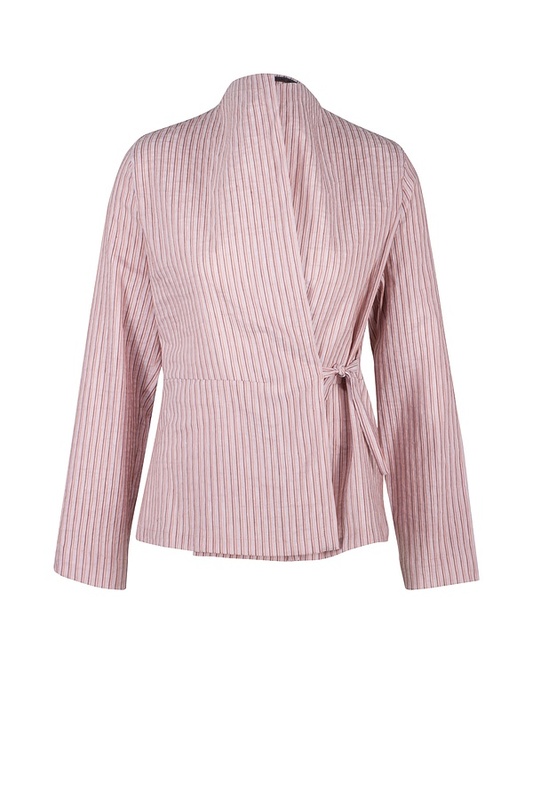 The loosely falling collar and turned up sleeves add casual femininity.. . The show Clip Ativa 901 can be bought seperately in our Shop!